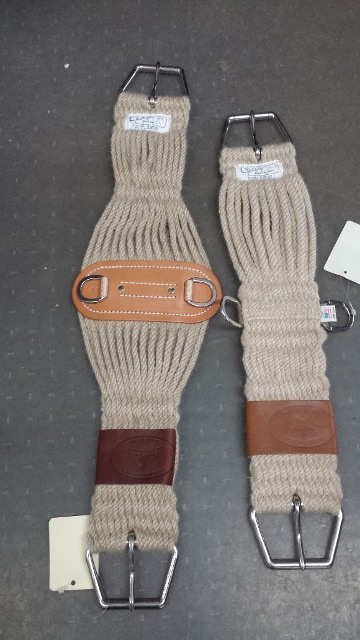 MOHAIR GIRTH - Caldwell Saddle Co. 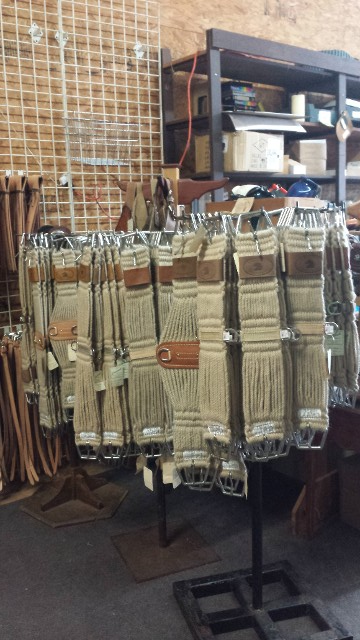 I have been using Caldwell Saddlery mohair girths for almost 20 years. I really like the quality, durability and price of these girths. I especially like the stainless steel square D-rings--they make cinching so much easier for both myself and my horse. These girths last forever, are super-comfortable for my horse, and easy to care for. I won't use anything else. We no longer carry anything other than 100% Mohair for your horses. We do not want to promote anything that is detrimental to your animal or wallet. So no plastic, rubber, neoprene, rayon, or cotton blends.